Creative, dynamic, and never the same, Carrera’s new eyewear models perfectly embody Millennials’ authentic personality. The new sunglasses have an eclectic spirit, staying true to their nature yet reinventing themselves every day, and being capable of experimenting and surprising. The new glasses, which are destined to become the next season’s ultimate must-have accessory, have a lightweight metal structure with an innovative mechanism that makes the front easily interchangeable. Just like the countless cover options available for your smartphone or tablet, these new sunglasses offer a wide array of colors that you can mix and match every day to reflect your changing mood and style. You can express your personality by swapping fronts in a snap! The two new models feature a contemporary, easy-to-wear design that is similar to the squared or rounded shape of the collection’s two all-time bestsellers. The color palette includes definite hues of yellow, red, white, blue and black, as well as unique camouflage versions with geometric patterns, in line with the latest fashion trends. 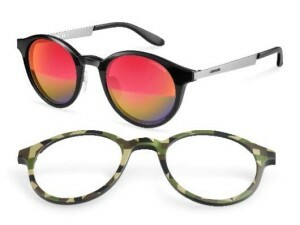 Original multi-coating or mirrored lenses complete these glasses’ fashion-forward style. 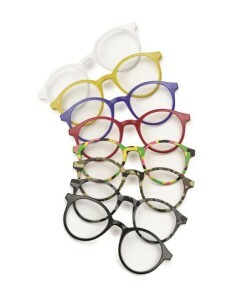 Each model, available in basic black, comes with an extra front that you can pick from in a wide range of colors. Collect them all and have fun mixing and matching them to look different every day. The CARRERA collection of sunglasses and optical frames is produced and distributed by the Safilo Group.